UFC on ESPN is starting to feel different. Maybe this will be different types of MMA rumors will emerge in 2019. The Sunday Morning Rumor Mill is excited, yet scared for what the coming year brings. It feels like the deeper ESPN dives into the MMA pool, the more the UFC product may change. For better or worst? Not sure, but the final 11 months of 2019 should at least be more interesting. 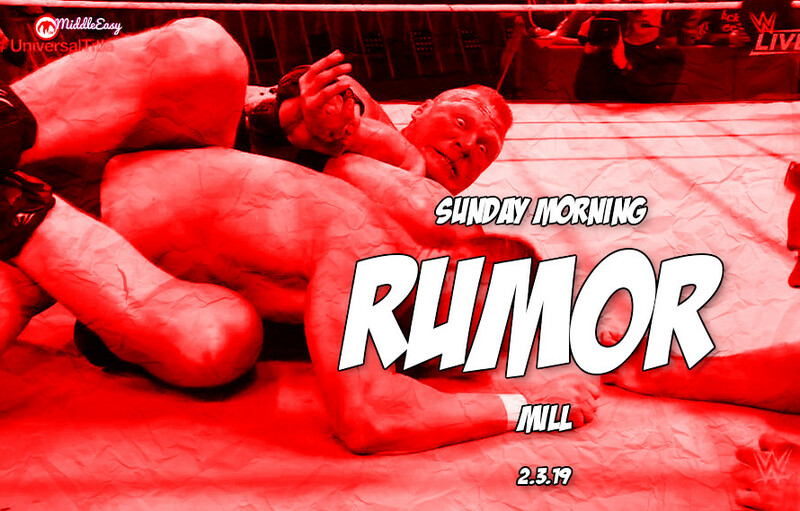 Before you stuff yourself with Super Bowl snacks, jug some MMA rumors to wash it down and indulge in a quality Sunday Morning Rumor Mill. We’ve been down this road before. New rumors point to Brock Lesnar sticking around pro wrestling longer than expected. Lesnar’s contract with WWE is rumored to go through April and it looks like the UFC may be in jeopardy. Maybe a rumor killer, but it looks like Rumble Johnson will not be fighting Bare Knuckle Boxing anytime soon. Rumble would need more money than any BKB promo could afford to step in the ring. Set to retire this year, rumors have circled back that Jose Aldo is reconsidering it and may fight into 2020. Rumors once again have surfaced that the UFC flyweight division is all but dead. Some current UFC flyweights are reportedly already preparing for the worst. You may have noticed, but ESPN has made a real effort to start their cards earlier and end early on the east coast.